We are excited to introduce CIERA’s incoming Postdoctoral Research Fellows and Associates. They will bring a wide-range of expertise that promises to advance CIERA’s cutting-edge research programs. 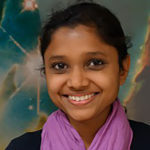 Nancy Aggarwal (Massachusetts Institute of Technology) joined as CIERA/CFP Postdoctoral Fellow in Spring 2019, and is working on building an axion detector (with the ARIADNE collaboration). In addition, she is also looking at sources like primordial blackholes for a high-frequency GW detector, working with Profs. Geraci, Larson, and Kalogera. She will also continue to work on other LIGO-related projects during her time in CIERA. 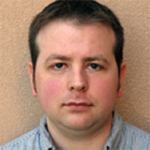 Jeff Andrews (DARK Cosmology Center, University of Copenhagen) will join as CIERA Postdoctoral Fellow in Fall 2019, to work on plans to model the formation of the merging double compact objects detected by LIGO, providing a route to uncover the evolutionary history of the merging double neutron stars observed by LIGO and to use this population to constrain the evolution of high mass binary stars. 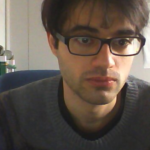 Adriano Baldeschi (data-scientist at Fastweb in Milan, Italy) joined as CIERA Postdoctoral Associate in Spring 2019, working with Raffaella Margutti on a project called “Exploring the fourth dimension: Enhancing the Discovery Power of Transient Surveys with an Effective Classification/Identification System,” where he will help address the challenges associated with the classification of astronomical transients in real time. 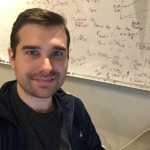 Peter Blanchard (Harvard University) will join as CIERA Postdoctoral Fellow in Fall 2019, studying superluminous supernovae, tidal disruption events, gamma-ray bursts, and electromagnetic counterparts of gravitational wave events. 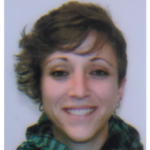 Alicia Rouco Escorial (Anton Pannekoek Institute for Astronomy, University of Amsterdam) will join as CIERA Postdoctoral Associate in Winter 2019, working with Wen-fai Fong on the discovery and characterization of EM counterparts to gravitational wave sources, gamma-ray bursts, and host galaxy environments, using multi-wavelength observations. 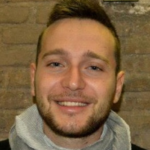 Giacomo Fragione (Hebrew University of Jerusalem, Jerusalem, Israel) will join as an CIERA Postdoctoral Fellow in Fall 2019, to work on unveiling the elusive population of intermediate mass black holes and to fill the gap in the black hole-mass desert, through the study of the intermediate-mass black hole dynamical signatures and gravitational wave emissions in dense stellar environments. 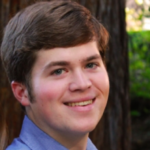 Mike Gudric (Caltech) will join as CIERA Postdoctoral Fellow in Fall 2019, to work on developing simulations with improved algorithms for stellar feedback and unprecedented resolution, which will contribute to the FIRE cosmological simulations and lead to predictions for the rates of gravitational wave sources that will be able to confront observations in future data runs of LIGO. 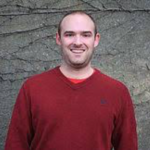 Patrick Sheehan (National Radio Astronomy Observatory, Charlottesville, VA) will join as a CIERA Postdoctoral Fellow to study the structure of protostellar disks, searching the youngest known disks for signs that planet formation has begun, and measuring protostar masses in order to constrain pre-main sequence evolution. Patrick will also be working on CIERA’s outreach and education activities, including coordinating our summer research program for high school students. 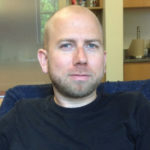 Michael Stroh (University of New Mexico) will join as a CIERA Postdoctoral Fellow in Fall 2019, working with Raffaella Margutti. They will be working on a project called “Exploring the fourth dimension: Enhancing the Discovery Power of Transient Surveys with an Effective Classification/Identification System,” where Michael will help address the challenges associated with the classification of astronomical transients in real time.